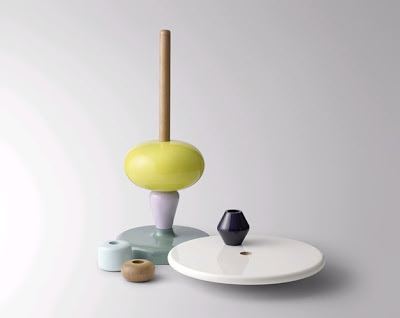 The Shuffle Table by the Norwegian designer Mia Hamborg for &Tradition gives new life to the old Nordic craft tradition of turning wood by adding the colour and playful forms from old painted wooden toys. 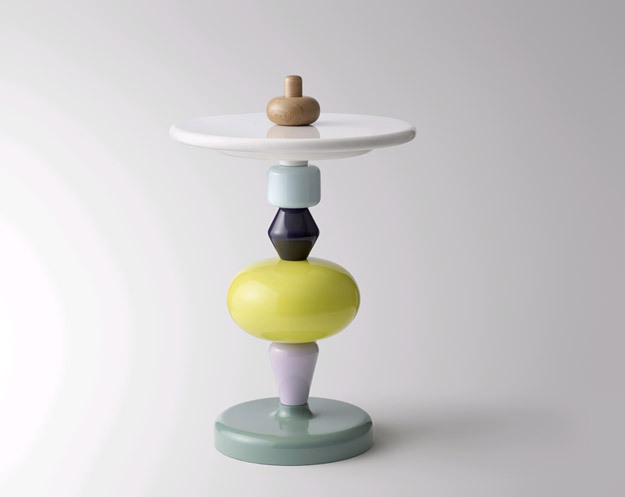 The user can decide the form, colours and height of the table. The Shuffle table is intended as a flexible piece of furniture that can serve many uses in the home. The building blocks can be combined to place the table top at different heights, making it user friendly for all ages. The table is made from from lacquered solid wood.